David J. Deschaine has installed hundreds of vinyl siding installations over the past 25 years, and we would like to offer our professional siding services to you. Our vinyl siding crews are fully insured and extremely experienced with trim coverage around the windows, doors, Soffit and fascia which eliminates the need for painting. We buy a large volume of vinyl siding in Maine from our local distributor Applicator Sales & Service in Portland Maine, and we get great prices on our vinyl siding and we pass those savings on to you. During our initial appointment we will go over everything and give your home an exterior visual inspection to uncover any potential issues, and then offer solutions which will be included in our vinyl siding estimate. You can also schedule your appointment today by filling out or Free No-Obligation Estimate form, and one of our friendly office staff will contact you ASAP! We have completed thousand of vinyl siding installations over the years, and would like to show you that the best quality workmanship and vinyl siding products is a great investment for your home - You will want to see what we can do to your home! When we install your vinyl siding it will last for years and look beautiful. We want you to get the best quality vinyl siding and trim coverage for the best price possible. With a natural woodgrain look, and 10 attractive, low-gloss colors with a wide variety of coordinating trim, you will enjoy siding that is both beautiful and virtually maintenance free - David J. Deschaine's siding never needs painting. With Spiegel Grove siding, you can also have confidence in a Class 1(A) fire rating and RigidForm™ 135 technology that has been tested to withstand wind load pressures up to 135 mph. When we install vinyl siding we remove the old siding if it is bad, or may be rotten. Then we add energy saving house wrap or insulation board over your existing siding to make sure the home has a blanket of insulation. We can remove all the old siding and prep the exterior walls in just a couple of days and then install your new Monogram Vinyl Siding in just a few days. David J. Deschaine siding is virtually maintenance free, and never needs painting this is a very popular form of home improvement that pays for years, and you get to enjoy looking at your beautiful home. CertainTeed Monogram siding is really the best quality that has the highest wind rating so you will never have to worry about winds along the coast of Maine, and David Deschaine only uses the very best quality materials which comes with a Lifetime limited warranty. 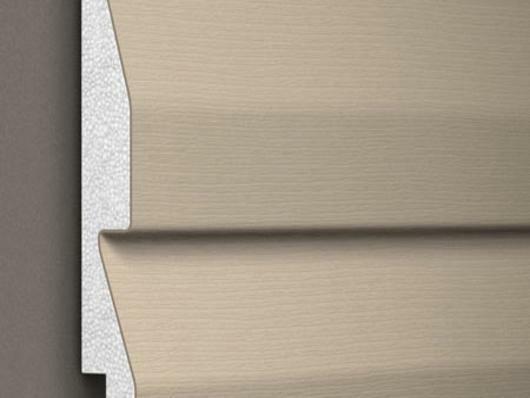 We offer Maine insulated vinyl siding to homeowners that want to save money year round, and using our high quality insulated vinyl siding suppliers we can wrap your home in a blanket of insulation with beautiful vinyl siding on the outside. Because the cost of heating oil you should really consider installing insulated vinyl siding compared to any type of siding in the industry. The energy savings from insulated vinyl siding for your home in Maine can be up to 30% savings on both heating and cooling cost. We all understand the cost of oil is not going to go down, our heating bills are our major expense included in our budgets, if you can save 30% off your heating bills year after year can you imagine how much extra money that will put back in your pocket. Your home will be more comfortable year-round using our insulated siding, and you will be making a wise investment that will last a lifetime. How long do you want to keep paying for painting every couple years, and then repainting only to lose all the investment you made on the first time you painted your home. We all need to conserve energy to help keep America strong, but you need to install insulated vinyl siding on your home to protect your financial security. Never before has anyone offered this 100% material and labor warranty for your insulated vinyl siding, so if anything is related to the workmanship or if the material has a manufacturers defect your covered. Your home is your castle, and you need to protect your largest investment so make sure your investment is a product it's going to return dividends every year..
Why should you choose David Deschaine for your insulated siding? You know David Deschaine has been around for a long time, you've probably seen his commercials on TV "Keep Out The Rain Call David Deschaine" and that's why we have protected our reputation for over 25 years. And how of done that is by delivering high quality Maine Roofing, vinyl siding, replacement windows, seamless gutters, and now the best insulated vinyl siding on the market today! Fill out the free estimate form here in the website, you will get confirmation via email that your appointment has been scheduled, after that one of our office staff will contact you just to verify your appointment. Then David Deschaine will come over and meet with you and show you all the options of our insulated vinyl siding, and how you can save money every year after we install your new insulated vinyl siding. 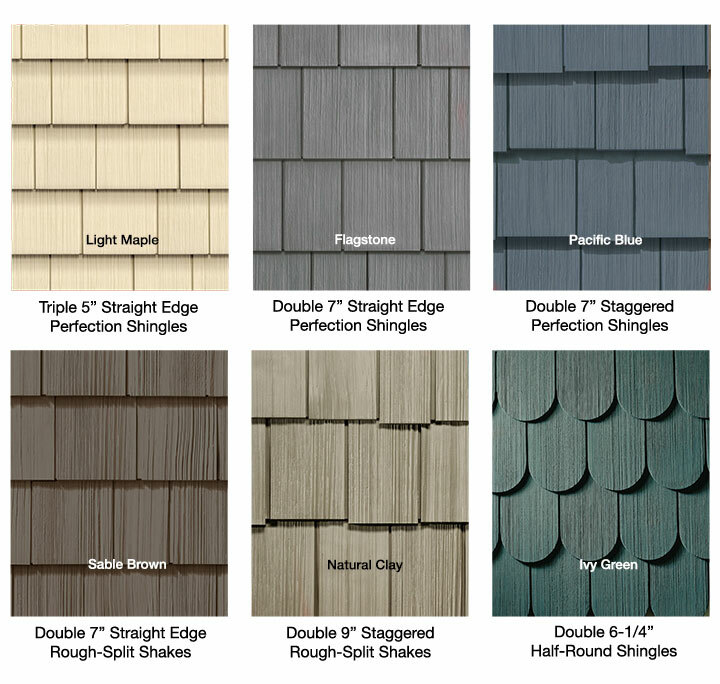 We only use the very best vinyl shingle siding and the brand we use is Cedar impression from CertainTeed because of the high quality product that is delivered with a Cedar shingle look. Your home is going to look absolutely beautiful!. Our vinyl siding projects are installed from our siding specialist here in Maine, and these guys are some of the finest quality craftsman you'll ever find in the industry. Our trim coverage specialist will seamlessly integrate this beautiful Cedar impression vinyl siding, and our custom window wraps that have a look of real colonial craftsmanship. Our customers are so pleased when we complete the new Cedar shingle vinyl siding, that the referrals that we get from our clients is the best compliment I could ever get when I install new Cedar impression vinyl siding here in Maine. We truly care about the quality of our workmanship, and that's why we always give a 100% labor and material warranty that covers all the work that we've done. If you ever have anything happen to your vinyl siding and it's directly related to the workmanship that we provided, and it will be covered with our 100% percent material and labor guarantee. 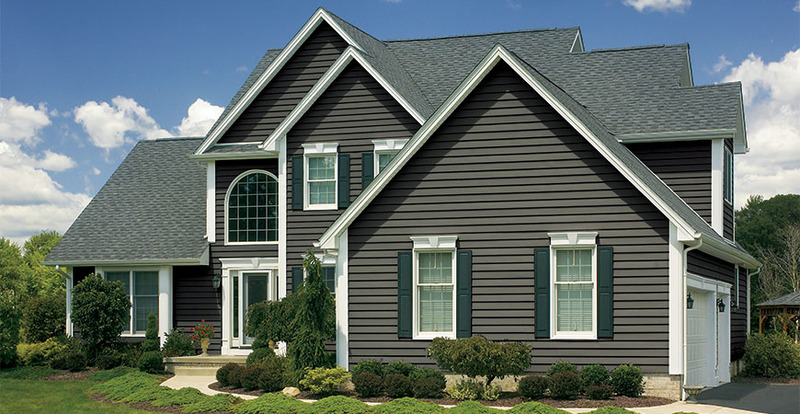 Your home is your largest investment and we want to help you protect your investment with one of the beautiful vinyl shingle siding from CertainTeed vinyl siding product line. They also have a beautiful selection of moldings that can be added to any window and door, we can add shutters in the windows we can add crown molding to the top of the windows or we can add some specialty items like lineal's around the windows, or designer super corners they can really add some depth and character to any home here in Maine..
What that means is we have a relationship with our distributor and product manufacturer so if something goes wrong you are covered. - Our reputation is very important to us and your customer satisfaction means everything. - We give 100% material and labor guarantee if anything goes wrong with your siding due to the installation or manufacturers defects. - Your complete satisfaction is what keeps us in business, and we have been in business for a long time. 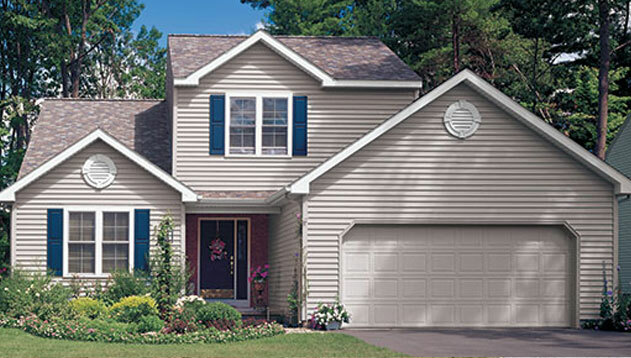 Why should you choose David Deschaine vinyl siding specialist in South Portland Maine? 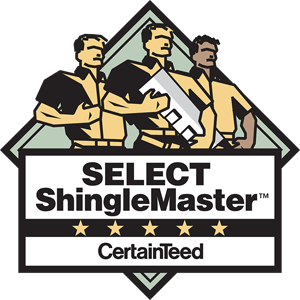 - You will be working with one of the most recognized vinyl siding specialist in the southern Maine area. 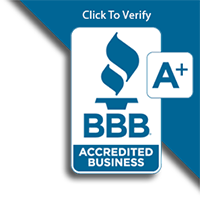 - Because David Deschaine has some of the best vinyl siding installers in Maine. - You will have decades of knowledge and experience working with you for your brand-new vinyl siding installation. - Because you will have the best warranty in case something goes wrong, and working with a company with the best reputation in the business. Thousands of homeowners have used David Deschaine for their home-improvement needs and so should you, there's a reason why we have done so many jobs and why we have thousands of satisfied homeowners. 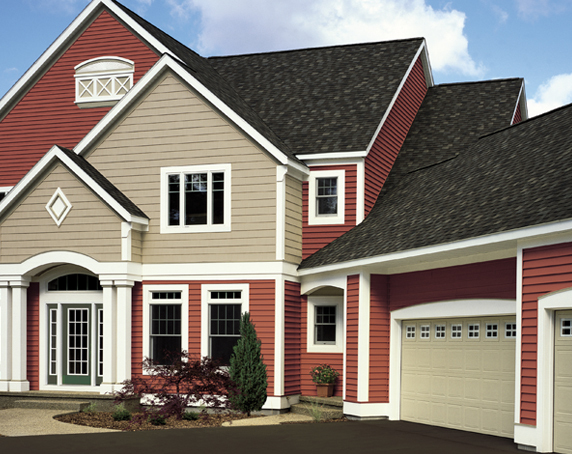 Call us today at 207-774-9200 and ask as many questions as you'd like about installing your new vinyl siding. Contact us now for a Free, In-Home estimate! When it comes to the Maine siding cost you want to make sure that you're getting the best vinyl siding contractor in ME and get the best warranty for labor and materials. The cost of vinyl siding can vary from different products like the clapboard style which is an extruded panel, to the more expensive cedar shingle vinyl siding which is an injection-molded system. 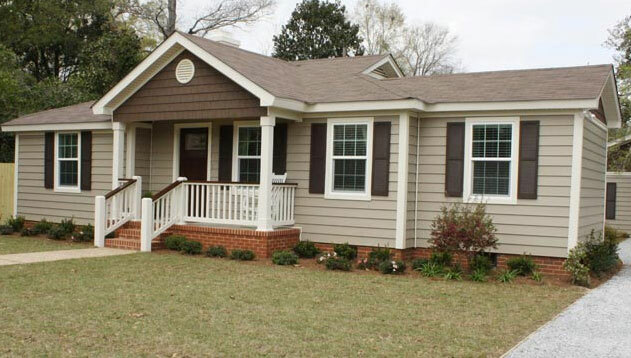 You will find that most homes have the clapboard style vinyl siding, and is very popular because of the cost of this vinyl siding is affordable and beautiful. And most homes today are built with builders grade vinyl siding and it costs much less than cedar impressions or the vinyl shingle or hand split shake siding, which can cost up to 30% percent more than standard vinyl siding, but you should buy the siding you want and enjoy the beauty on your home. As a home or you will find that the cost of new vinyl siding, compared to painting a home is a great long-term investment. Paint will only hold value to the next paint job, so understanding once you paint the home and it only last for a few years the paint job is worthless at that point. Most people today want maintenance-free homes, and we add the aluminum trim coverage to all the windows and doors so you never have to paint home again. Vinyl siding is one of the best investments you can do for your home if it's done correctly, and our siding installers are some of the finest in Maine and you will find that our pricing for new vinyl siding is very competitive to a any company that does quality work. Give us a call today at 207-774-9200 or fill out the free estimate form here on the website!